MELIÁ HOTELS International has made two key appointments to their regional office. Meliá Dubai is the first five-star Spanish hotel in the Middle East. It boasts a classic, contemporary European design with warm colours creating a soothing atmosphere and space that gives the feeling of a home away from home. The hotel’s lobby features the Light Series collection by Helidon Xhixha, a series of artworks that enclose the allegory of the evolutionary human pathway. Every one of the 164 guest rooms and suites are spacious and feature in-room business facilities, separate seating areas and high-speed complimentary internet service. The 7th Floor of Meliá Dubai, also known as The Level, is reserved for those who value exclusivity above all. 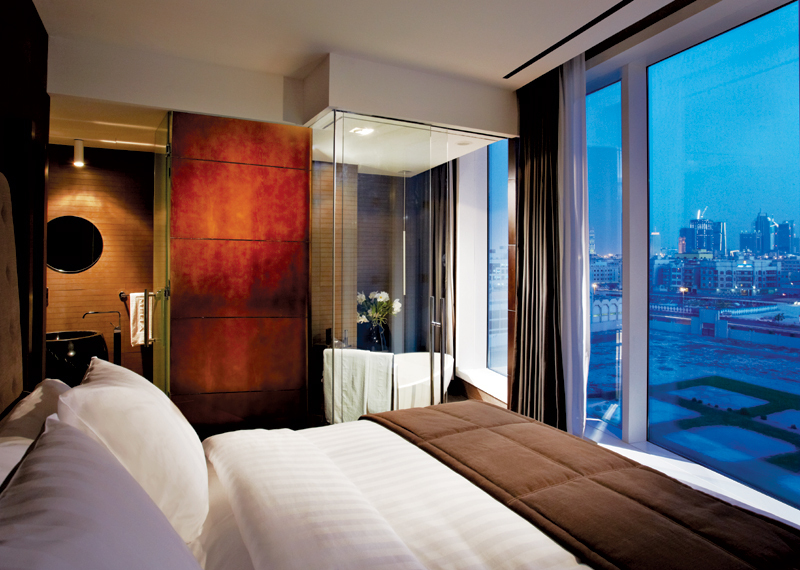 The Level Rooms & Suites promise an elevated guest experience. YHI Spa offers a host of treatments and facilities such as Moroccan and Turkish bath, colour therapy room and the biggest Indoor Jacuzzi in Dubai. Guests may also enjoy exclusive rooftop swimming pool with a panoramic city skyline view. Meliá Doha Hotel the first five-star Spanish hotel in Qatar. Located in the prestigious West Bay region of Doha, Meliá Doha, with its contemporary design, array of premium restaurants and spa, is the perfect choice for both business and leisure travellers alike. With 280 rooms and 37 suites, ranging from the Executive Suite to the spectacular Royal Suite, Meliá Doha was designed to delight even the most discerning traveller. It’s location, which is just 20 Km from Hamad International Airport, allows guests easy access to Qatar’s financial, shopping and diplomatic district. 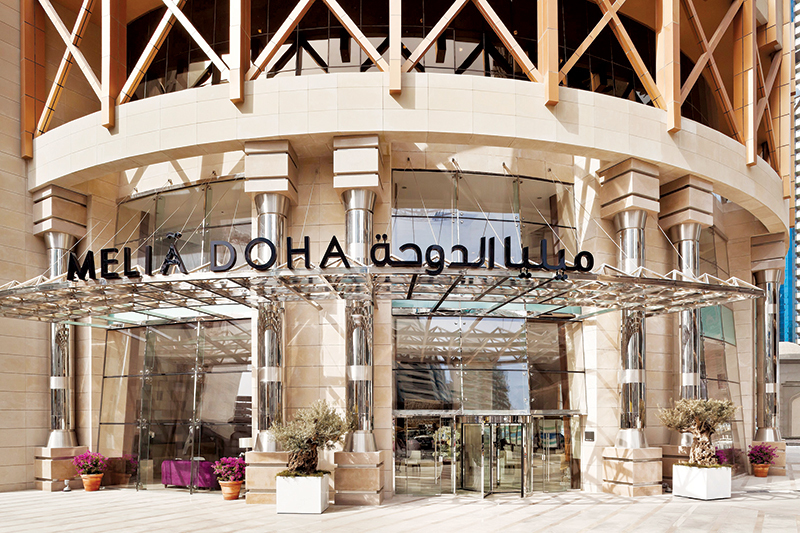 In few minutes, guests can reach Doha City Center Mall, Corniche promenade, restaurants, and the best evening entertainment, as well as the city’s impressive skyline. The suites are designed with more fascinating and comfortable spaces ranging from 85 sq m to 450 sq m. A variety of eight room types are specifically selected for you to enjoy your Meliá experience to the fullest. Meliá Doha also features the award-winning Signature by Sanjeev Kapoor, Aceite Restaurant with its authentic Spanish cuisine and the renowned Turkish restaurant Nisantasi Baskose, opening for the first time in the Middle East in Melia Doha. RIQQA Café, Noir and Le Pool Club on the third floor are some of the other outlets. The hotel also features both a health club, equipped with a cutting-edge gym, and a temperature controlled pool and spa so that guests can relax and revitalise.